Keep your car cover securely attached with this Car Cover Cable Lock set. Simply thread through the cover's grommets and lock in place. Protects your car cover from wind and theft. 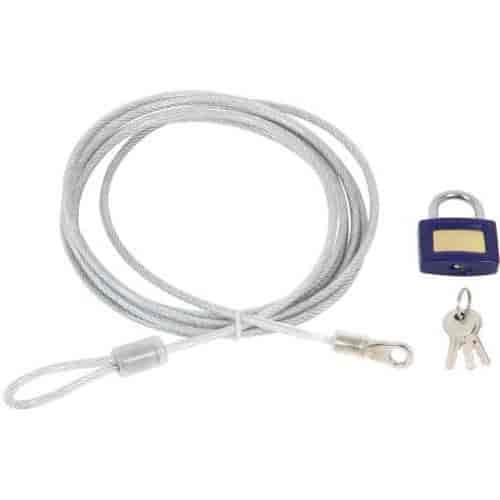 Kit includes: 7 foot vinyl coated steel cable, padlock with brass housing, non-scratch plastic snap-together grommets, iron-on reinforcing patches and instructions.